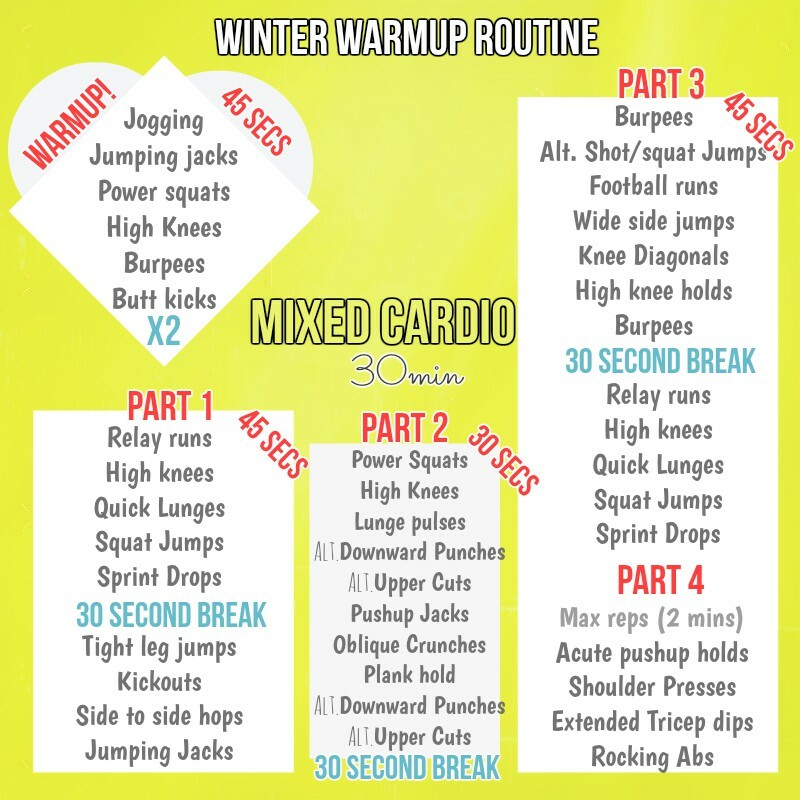 If you’ve started the winter warm up workouts then this is the guide to you need to know the routine for any of the mixed cardio days. I’ve put the day’s next to the titles, just in case you forget you’re on day I’ve included a video option that’s equal to this workout and videos can be easier to follow..Remember if you don’t feel comfortable in the names and the motion of the moves go to the workout dictionary.There you’ll find exactly what the moves should look like and what parts of the body they’ll work! The calendar is 30 days so you can start it on the 1st of the month or start from the first Monday of January (the 4th). Remember, if you’re struggling, just pause and take a minute to breathe. All moves are 45 seconds, unless specified. Grab a stopwatch and lets get started. Today’s workout is a little harder, so I’ve included a brand new routine for you, the warm-up is longer and there are more new moves. Oh and remember, if you’re getting sluggish and running out of mojo, pop over to my positivity and motivation board for a printable push!Follow Amy-May Hunt’s board Positivity & Motivation on Pinterest. 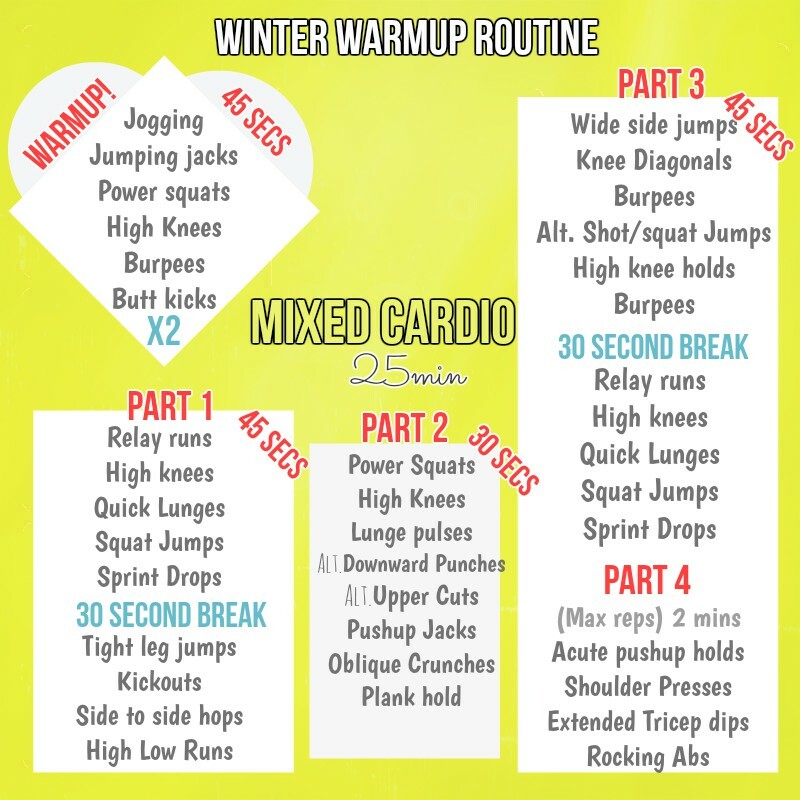 « Strength workout routines for the warm up calender!